Our long-standing blog followers may remember that we produced a blog a few years ago on why we love Moodle. As our name suggests, we are renown for delivering expert Moodle services since we began in 2004. Despite since extending our service offering and also now deliver expert services to many clients using the Totara Learn platform, we are still avid fans of all things Moodle and have delivered Moodle services to hundreds of clients. 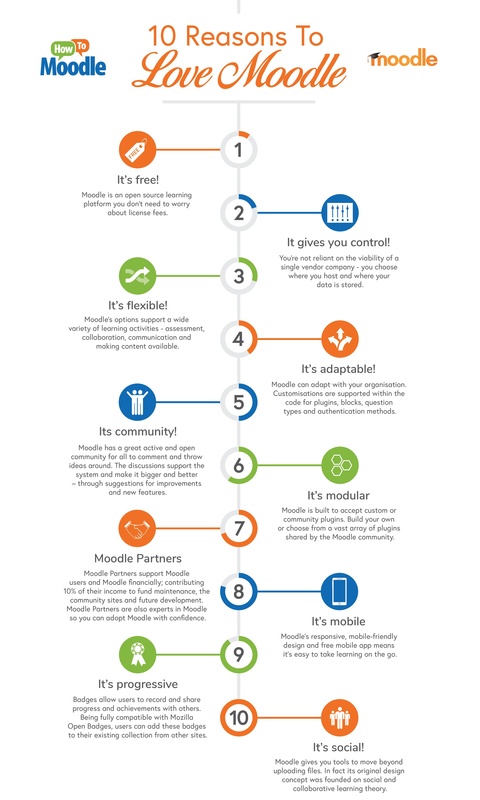 We thought it was time to dust off the old blog and spruce it up into a handy infographic that sums up very neatly on just why we love Moodle so much – and why you should too! Simply click on the infographic below to view or download.